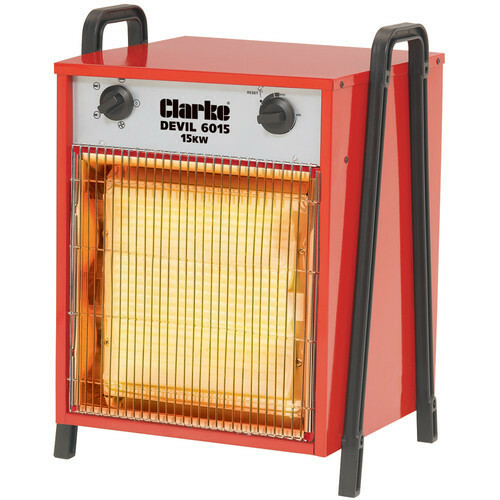 The Clarke 6015 fan heater offers 15kw of heat output with thermostatic control, we think this is one of the best value heaters on the market for its output size. The heater is housed in a sturdy steel cabinet that has an enamel finish for long lasting wear. 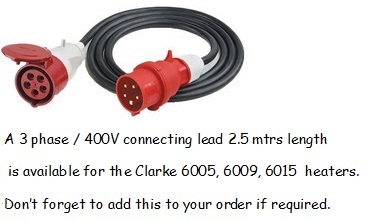 An optional 3 phase connection cable is also available for this heater. 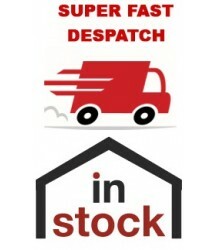 If you have a medium sized industrial premises to heat this heater certainly offers a good option. This is a 3 phase 415 volts heater and will not operate via a 240 volts mains supply with 3 pin plug.